We at SeedTribe are committed to working with impactful businesses. Our investment committee evaluates businesses according to the the criteria defined in the UN’s 17 sustainable development goals. We sift through hundreds of businesses, grilling them on all aspects of their business, in order to present only the very best to our investors. In doing so, we enable entrepreneurs and investors to play a significant role in achieving the SDGs while also getting a return on their investment. While we’re in the early stages of supporting impactful businesses, understanding how they will measure and report on their impact-related goals is important. Recently, PwC published a report on the role that private sector companies play in achieving the SDGs. To do this, PwC looked at whether companies mentioned the Goals in their reporting or business strategy. The research analysed over 700 companies in 21 countries across 6 different industries (Energy, Financial Services, Industrial Products, Retail and Consumer, Media and Telecoms, and Transportation and Logistics). The UN recognises that successful implementation of these targets will be most realistically achieved by individuals and institutions working towards them on a local and regional level. It is estimated that the link between the private sector and the Goals has an estimated $12 trillion in potential growth alongside the millions of jobs that could be created. In 2018, the PwC report noted that private sector businesses were quickly adopting SDGs in these areas: Decent Work and Economic Growth (SDG 8), Climate Action (SDG 13), and Responsible Consumption and Production (SDG 12). On SeedTribe, we’ve seen a similar trend with these businesses: Advanced Sustainable Developments (£500k raised in October 2018) and Work For Good (£54k raised in May 2018). 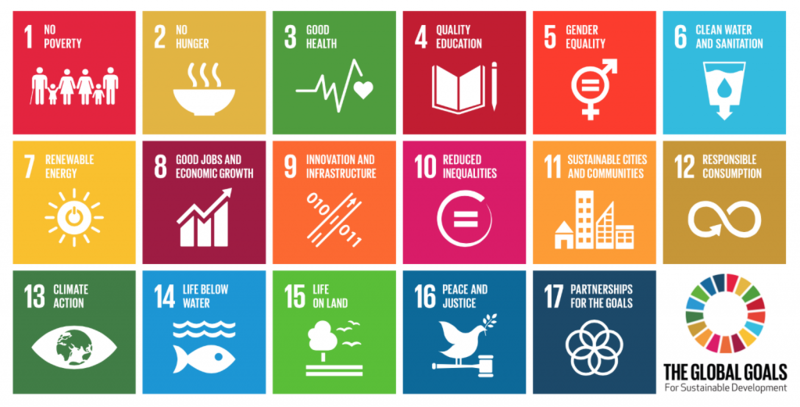 The SDGs were enacted in 2015, meaning businesses that have already implemented them as part of their business model are ahead of the game in some respects. However, the PwC report found that less than one-quarter of businesses disclosed meaningful Key Performance Indicators (KPIs) and targets related to the Goals. PwC suggests that the priority placed on SDGs are not backed up with meaningful monitoring. Our investment committee assesses applicants based on the presence of impact-related KPIs. These measurable impact indicators give us confidence that the business is truly creating impact. Though early-stage, businesses on SeedTribe can serve as an example to larger corporations on how to build the Goals into the basis of their business practices. “When a company’s mission looks beyond the simple financial bottom line, to the impact it has on people and planet, the importance of agreeing and measuring meaningful KPIs is what makes the difference in ensuring a company delivers on the SDGs it looks to address. If we don’t believe in the core KPIs, we’re unlikely to work with that company”. The SDGs can be a driving force to help all organisations identify significant risks and opportunities, build resilient business models and implement effective strategies to achieve responsible growth, but they will only do so if every part of the organisation works towards meeting the Goals. 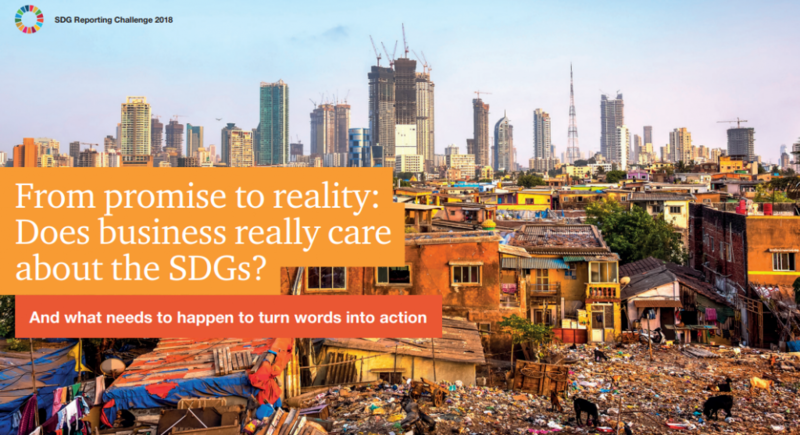 At present, too many companies treat the SDGs as a sustainability issue rather than using them to “shape business strategy and embed them into operations and reporting”. Impactful businesses play an important role in the achievement of the 17 Sustainable Development Goals. Beyond the financial impact, there is a social and environmental impact as well. These businesses have the opportunity to see change affect their markets and communities for the better. We as citizens can all affect positive change in the world, and investment in impactful businesses is a great start. Take a look at the latest impact investment opportunities here on SeedTribe.